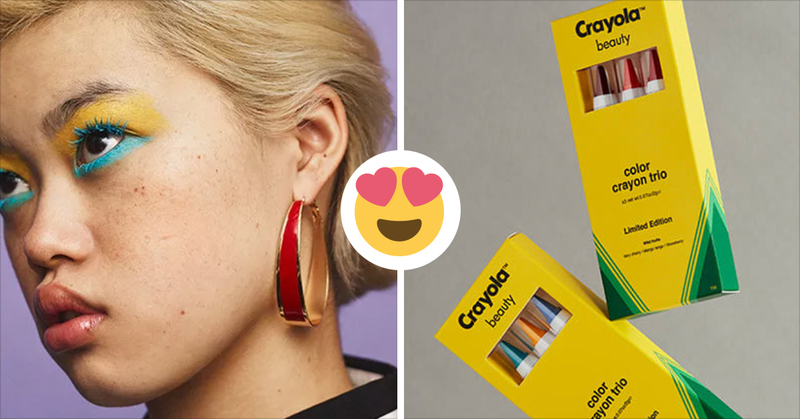 Another day, another ridiculous eyebrow trend that is taking over my social media feed one eyebrow pencil swipe at a time. 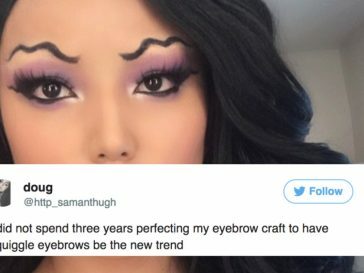 While I’ve had my fair share of run-ins with squiggle brows, heel brows, fishtail brows and all the in-betweens–I never thought the trends would continue to spiral into newer and even more outrageous looks. 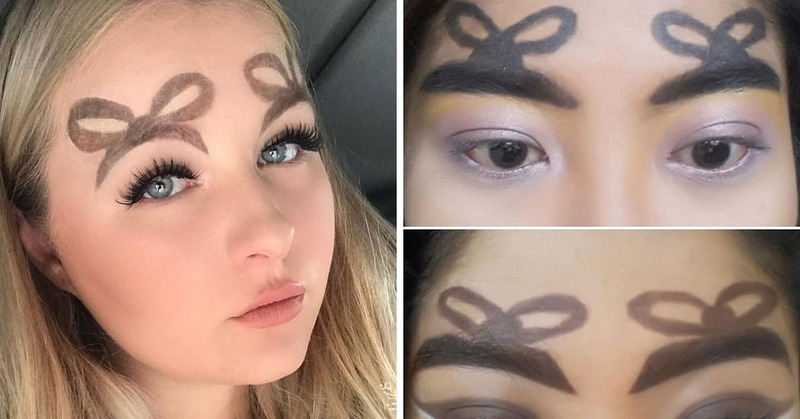 The latest trend to hit the web happens to be something that’s both festive and fun–bow brows. Much like the “halo brows,” this trend builds upon your already thick eyebrows and creates a band new…brow. BOW Eyebrows ? my first draw for my own Bow Eyebrows Inspired by @hudabeauty . Seperti kata mbak Icil @bylizzieparra “alis itu sister bukan twins, jadi ga perlu khawatir harus sama” . Challenge by dear @vincenza.anggun How??? #eyebrows #boweyebrows #eyebrowlook #eyemakeup ? #blackeyebrows vs #browneyebrows ? Bow shaped brows, really ? 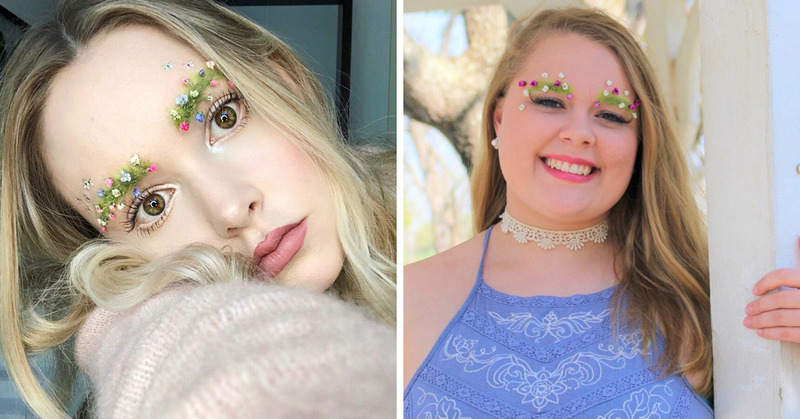 But, if you’re feeling really extra…why not try these mermaid brows? 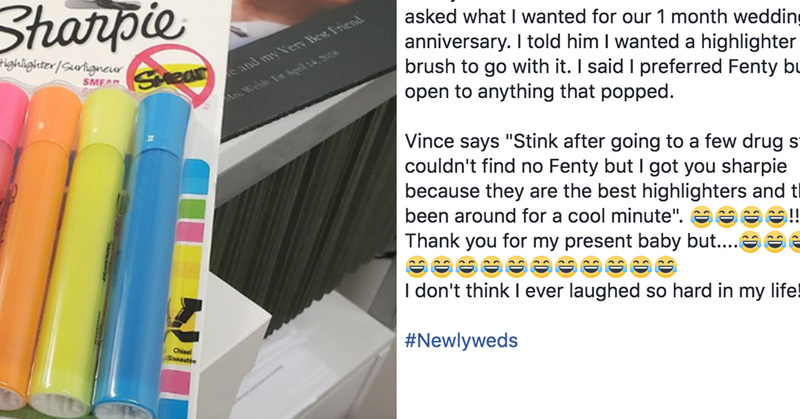 Just kidding, please stop. Immediately.